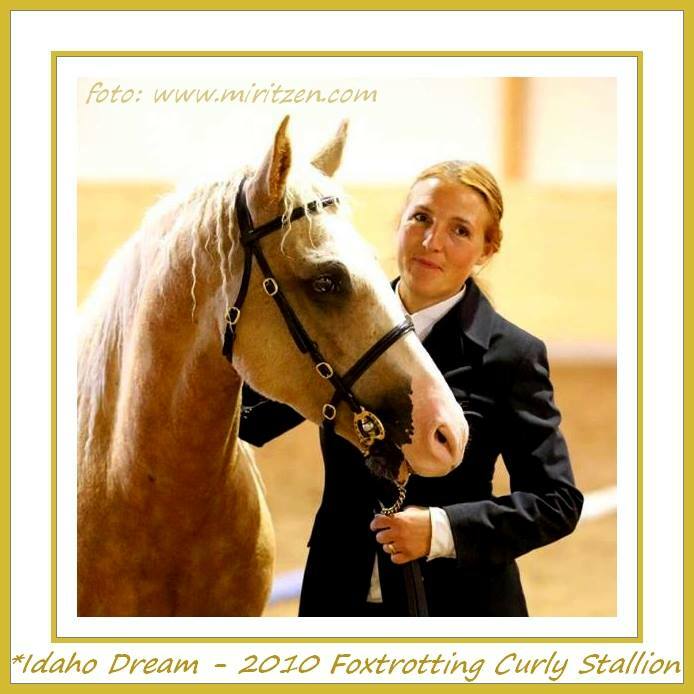 Make Your Dream Come True - With a Dream Curly Horse ! Dark sorrel gelding, f. 2016. This is Prince Taras, a young gelding bred by a good friend. Taras is from two parents that we have owned and we have also owned two grandparents so we know this line well. Taras is as beautiful and athletic as he is gentle, sweet and human oriented. 12 of 13 hester in his pedigree are curlycoated but himself he inherited genes for smooth coat, so he is a so called Smooth Coated Curly Horse, and he is still hypoallergenic. Taras has three good, lofty, ground covering gaits,; walk, trot and canter. He has not other four beat gaits. Palomino sabino pinto stallion, f. 2010. This is *Idaho Dream, our ultimate breeding stallion who has all the qualities I have been breeding for since year 2000. Idaho is your dream stallion, both beautiful and gentle. He is very human oriented. Exeptionally gentle with the mares and foals. A mare even foaled out in the pasture together with him. 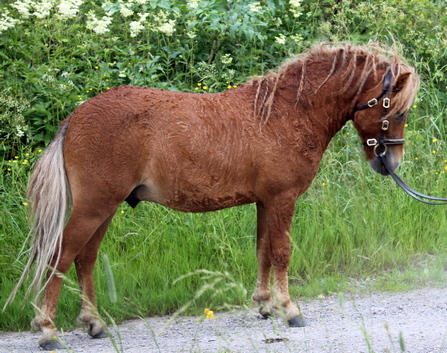 Idaho has served mares in Denmark and Sweden. 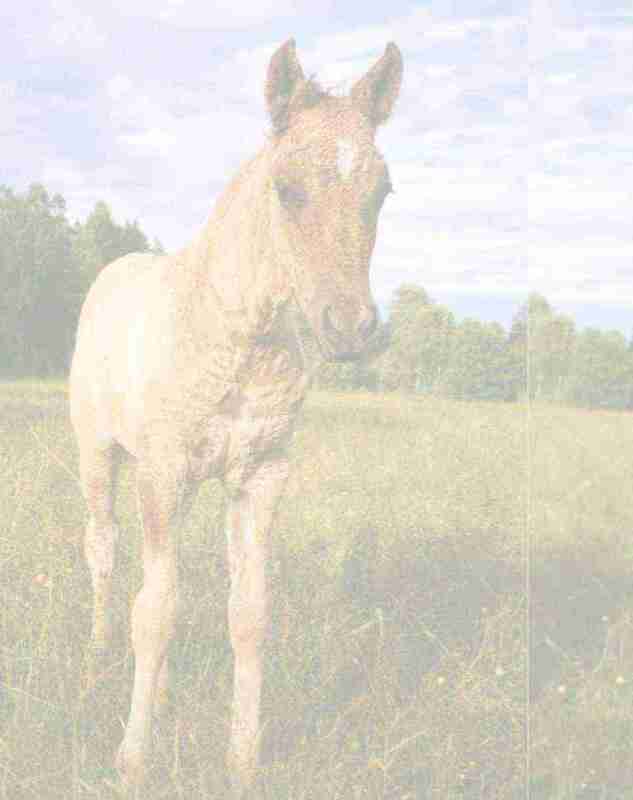 He has sired 20 gorgeous foals and the last five years been the most popular stallion in Sweden. 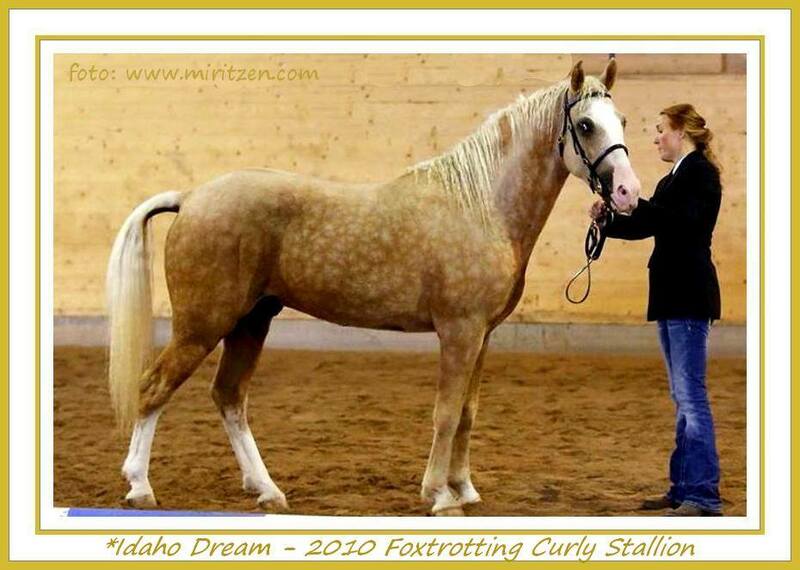 Idaho is considered homozygous for the curly gene, and being from pure Curly Jim line he has a full mane and tail. 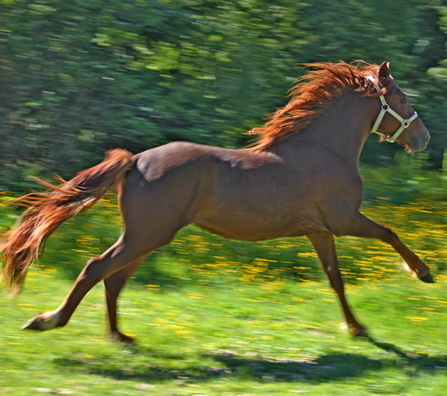 Idaho is tested homozygous AA for DMRT3 gaited gene. He's got a super foxtrot, and will become a fantastic riding horse. So far he's been out on the trail a little, with no fuss at all. 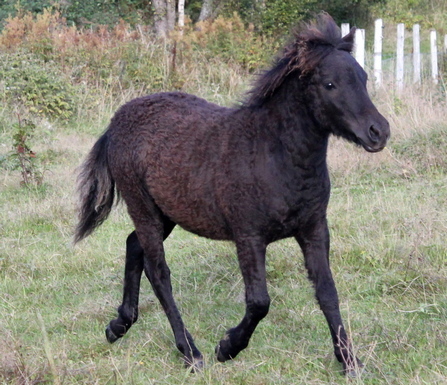 IDAHO IS STANDING AT STUD IN ULLARED, SWEDEN, AND CAN BE VIEWED THERE. All horses are up to date on vaccinations and deworming according to their age. If you live in Norway, VAT comes in addition with 25%. If you live abroad you have to pay VAT to your authorities, in Germany the VAT on horses is 19 %. There are no customs on registered breeding animals. There are customs duyt on geldings. I can arrange transport within Norway and to most countries in Europe. Estimated price for transport to for instance Germany is approximately EUR 1000. If you are not happy with your horse or if it doesn't work out with your allergy, you can return it safely to me in no less condition/training than you received it, and I will return the money I received for the horse. Want to come and see our Curlies? Ultra cheap flights from Europe to our local airport Oslo-Torp !